Red China is on a slippery slope and marching towards her self-destruction which no other nation can stop or intervene to help her. A game of brinkmanship is afoot and on cyber-hacking and contested atolls, it would need a reclamation project bigger and swifter than the one under way in the South China Sea for guest and host to find a piece of common ground to stand on. Forty-three years later an ambitious Chinese leader is coming for his first state visit in the opposite direction and the challenge is still the same. But now the stakes are even higher for this relationship and it has all the advantages of experience and proven resilience. What makes it so hard then? Only a scrambled visit by China’s security chief for what the White House described as “candid, blunt discussions” seems to have averted American sanctions. Meanwhile, in the South China Sea, the latest satellite imagery from this month suggests that even during a summit countdown, Beijing is ready to defy American warnings and possibly even renege on its own promises to continue reclamation work to turn contested atolls into military outposts. TIBET AWARENESS – UNITED STATES – CHINA RELATIONS. 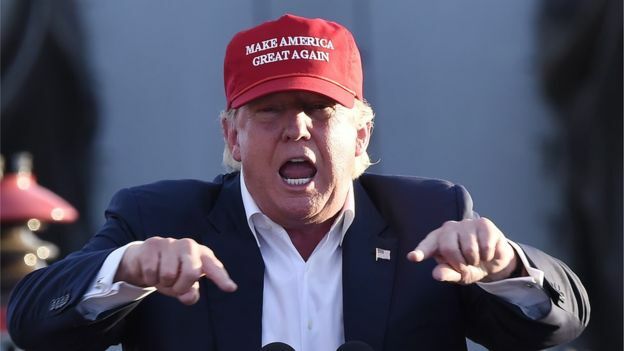 PRESIDENTIAL CANDIDATE DONALD TRUMP CLAIMED THAT CHINA IS STEALING JOBS. Trump are lining up to complain that China is stealing American jobs and some have said President Xi’s visit should be cancelled or downgraded. US public opinion is increasingly negative on China. 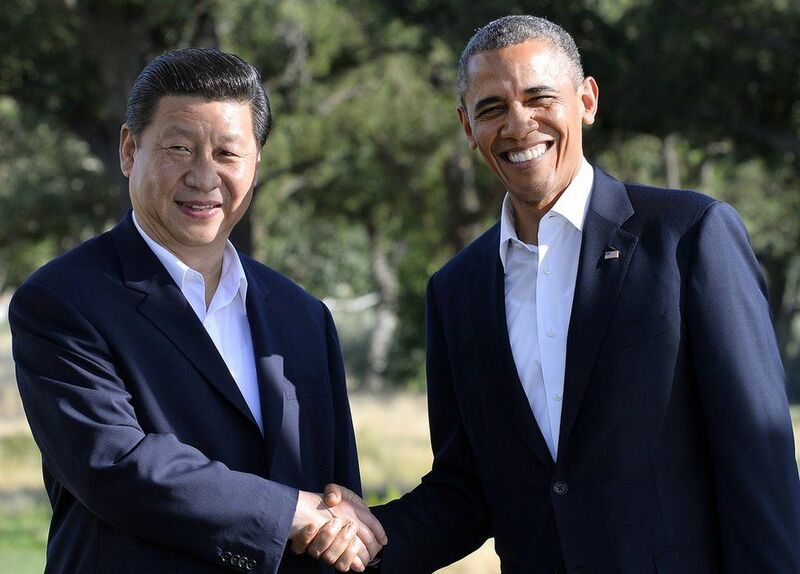 President Obama told the media China’s peaceful, orderly rise is in the US’s interest and good for the world. But President Xi urgently needs to reach out to American politicians and public to explain how it is in the US’s interest. A mix of reassurance, vision and rigour are required, and a measure of charm would no doubt help. But with a schedule focused on closed-door sessions with big business and tightly choreographed photo opportunities with tame members of the American public, it looks as if President Xi has opted for a risk-averse strategy with minimal substance and candour. Don’t forget this is the man with the Chinese Dream, a plan for what he calls “the great rejuvenation of the Chinese nation”. Implicit is the argument that a great China is not a novelty but a return to form. For most of the past 2,000 years, China’s economy has accounted for between a quarter and a third of world output and after traumatic shocks delivered by outsiders in the 19th and 20th Centuries, China is on track to overtake the US within the decade and regain its status as the world’s biggest economy. 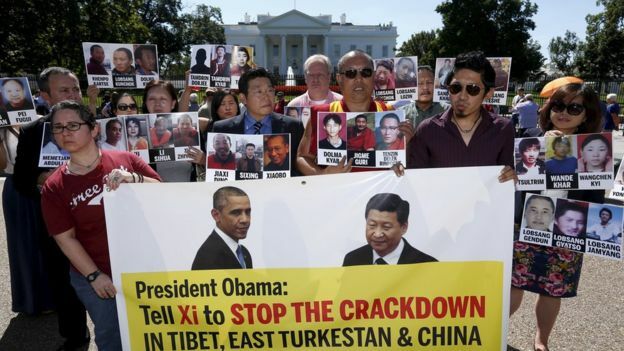 TIBET AWARENESS – UNITED STATES – CHINA RELATIONS. RED CHINA – ECONOMIC EXPANSIONISM A THREAT TO PEACE AND SECURITY. What’s more, China is intent on building military force and diplomatic clout to match its economic might. The swiftest, surest and cheapest way to all three is through US co-operation, and, sound and fury notwithstanding, it has come to count on that co-operation, at least in the economic sphere. Without American help, how could China have become the world’s largest manufacturing and trading nation in such breathtakingly short order? 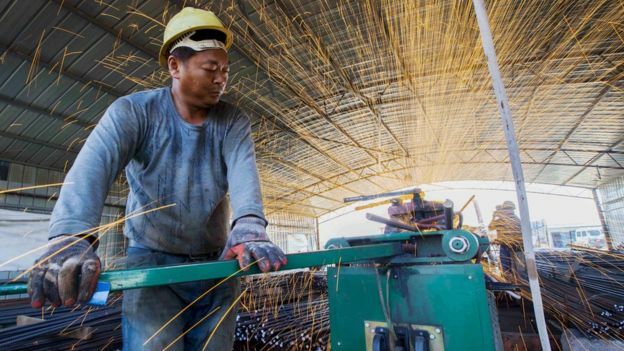 Without American help how can China confront the daunting economic challenges it faces today? But expect no warm speeches on that score from President Xi in Washington. Deaf to American concerns about market access or technology theft, the Chinese narrative of the relationship presents a version of itself as a much-maligned partner, uncomplainingly creating wealth and bankrolling spendthrift American consumers. China does not export its ideology or send troops abroad, it points out. President Xi’s preferred slogan for the relationship involves not a dream but a model. He raised it again on the eve of the summit, “the new model of great power relations”. This is shorthand for a future in which the US assists China’s inexorable advance in order to avoid the wars and convulsions which have accompanied the rise of other great powers in world history. Seen from inside his model, the US record is far from benign. Instead, the US threatens China’s political system by pushing democracy, undermines its territorial integrity by supplying arms to Taiwan and schemes to contain China by surrounding it with American alliances and military deployments. TIBET AWARENESS – UNITED STATES – CHINA RELATIONS . TIME TO DEMAND FREEDOM, PEACE, AND JUSTICE IN OCCUPIED TIBET. In fact, part of Mr Xi’s dream is that a rejuvenated China will no longer need to put up with an American security order in Asia at all. But Americans are famous dreamers too. And especially since China’s opening up and integration into the world economy, many have hoped that in Beijing they might one day have a democratic partner and “responsible stakeholder in keeping the world safe”. That American version of the Chinese dream is an affront to Mr Xi’s own and as he goes through the protocol motions on the American red carpet, it is no exaggeration to say that he sees his hosts as outright ideological enemies. He is at least as hostile to their politics as Chairman Mao was in the days of Nixon’s visit, probably more so because of the close and present danger those politics present in a globalised world. In his first three years in power, President Xi has used anti-corruption and ideological campaigns to stiffen the sinews of the Communist Party and buttress one-party rule. He has censored the discussion of universal values like democracy and freedom of speech, locking up academics, human rights lawyers, civil society activists, journalists, Christians and bloggers. Chinese propaganda teaches that the US is just the latest in a long line of hostile foreign powers trying to keep China down with a range of ideological weapons including meddling in Hong Kong and befriending the Dalai Lama. President Xi makes no apology for his politics. “Shoes do not have to be the same but simply to fit the wearer,” he says. He is an authoritarian by conviction who believes China needs discipline and a sense of shared mission to realise its “great rejuvenation”. All of this is admittedly a difficult message to articulate for an American public. But some truths should be attempted for the sake of candour and connection. President Xi could say that China still has enormous challenges at home and will avoid clashes with the US where possible. But that at the same time he wants a foreign policy that reflects the reality of China’s rise. And that on a range of issues, including rules for investment and climate change, he will co-operate with the US to the advantage of both countries. He would be wise to attempt a much more nuanced and persuasive case on areas of competition like cybersecurity and the South China Sea. And he needs to show that he can listen and respond to the concerns of Americans. If not always with agreement, at least with understanding. Now that would truly be powerful and might even presage a “new model of great power relations”. Copyright © 2015 BBC. The BBC is not responsible for the content of external sites. 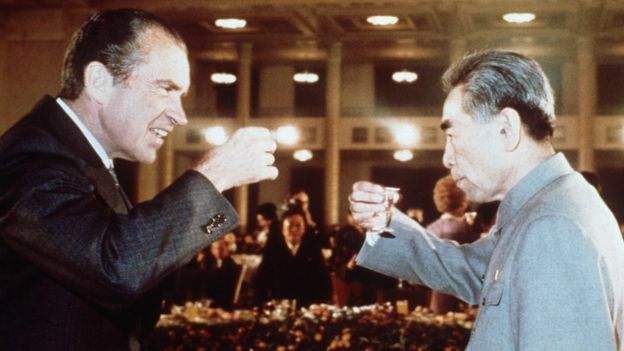 Whole Villain President Nixon with Prime Minister Chou Enlai in 1972. 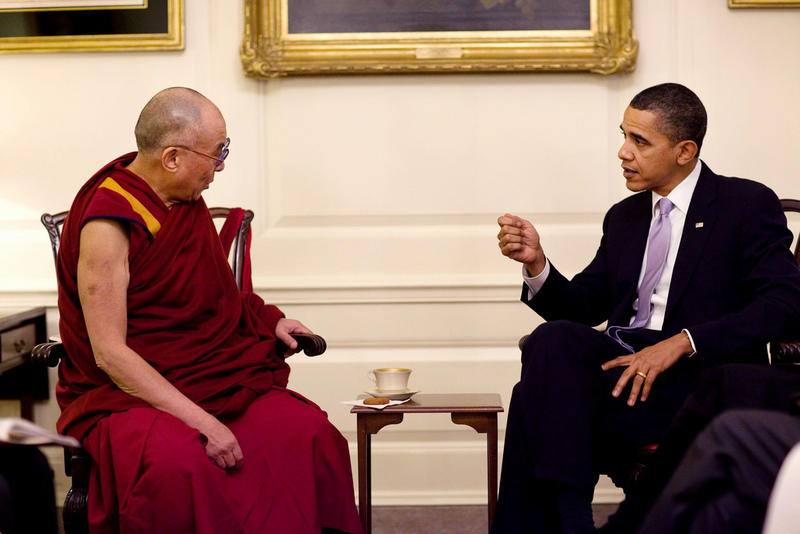 President Barack Obama meets with His Holiness the Dalai Lama in the Map Room of the White House, Feb. 18, 2010. (Official White House Photo by Pete Souza) This official White House photograph is being made available only for publication by news organizations and/or for personal use printing by the subject(s) of the photograph. The photograph may not be manipulated in any way and may not be used in commercial or political materials, advertisements, emails, products, promotions that in any way suggests approval or endorsement of the President, the First Family, or the White House.